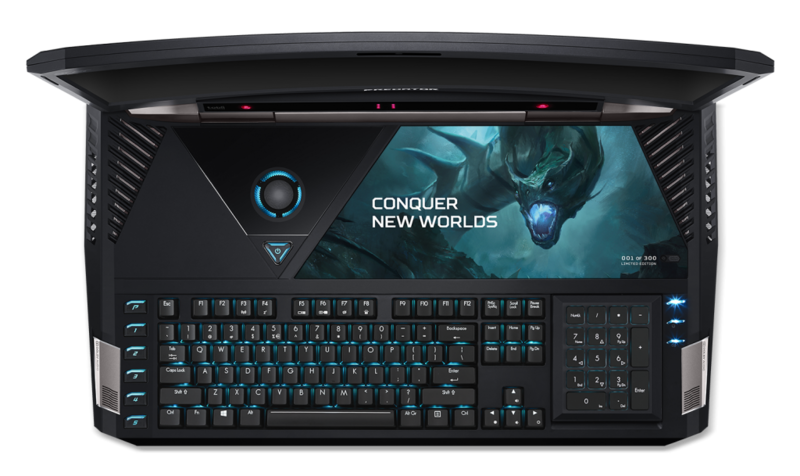 The world’s first notebook to offer a curved 21-inch IPS display (2560 x 1080 resolution with a 120Hz refresh rate), it delivers a truly immersive gaming experience, especially when combined with the notebook’s eye-tracking technology from Tobii. Taking PC gaming immersion to new depths, eye tracking lets gamers identify enemies, aim and take cover simply by gazing at objects on the screen in over 45 titles like Elite Dangerous, Deus Ex: Mankind Divided and WATCH DOGS 2™. The curved screen also features NVIDIA® G-SYNC™ technology, ensuring smooth and sharp gameplay. Beneath the notebook’s curved hood lies a powerful engine just waiting to be unleashed. 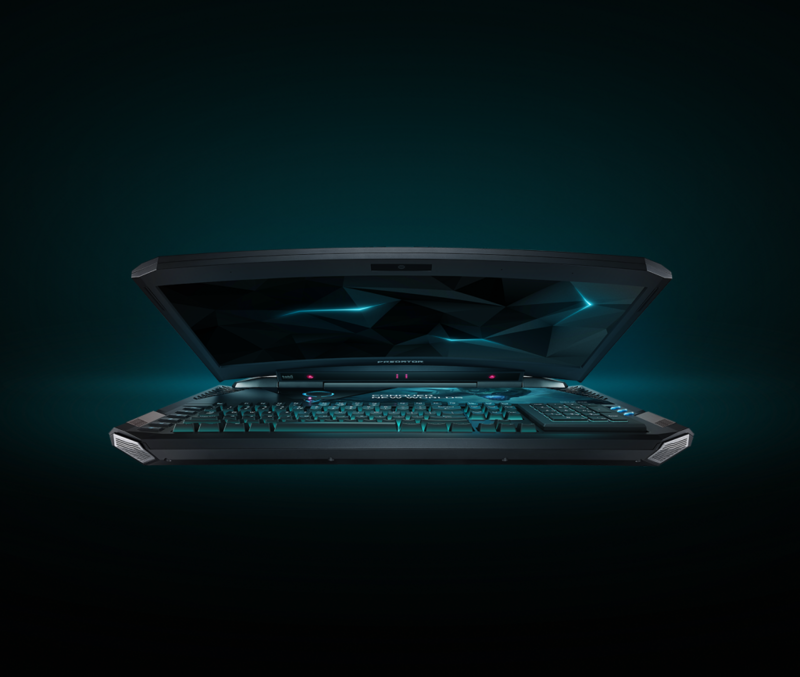 The Predator 21 X GX21-71features dual NVIDIA® GeForce® GTX 1080 graphic cards in SLI and an overclockable 7th Generation Intel® Core™ i7-7820HK processor for ultimate performance and responsiveness. Supporting all this power is 64GB of DDR4-2400 memory, up to four 512GB solid state drives in RAID 0 configuration (including 2 NVMe PCIe SSDs, which are up to 5x faster than SATA SSDs) and a 7200 RPM hard drive of 1TB capacity. In addition, Killer DoubleShot Pro automatically picks the fastest network connection (Ethernet or wireless) and sends all high priority traffic over that interface while standard traffic is sent over the other. This ensures the highest priority traffic will always be put on the fastest and most reliable link. Thunderbolt™ 3 brings Thunderbolt to USB-C at speeds up to 40 Gbps. 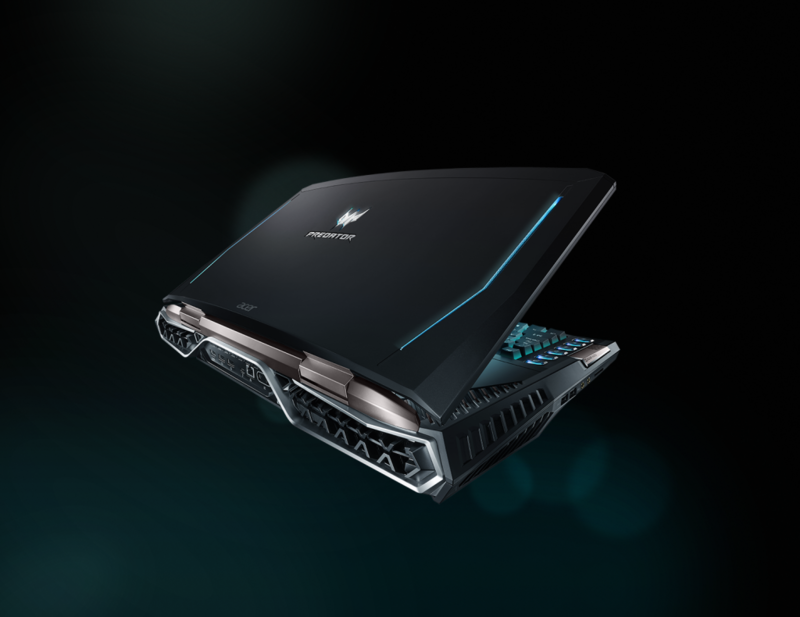 Dissipating excess heat effectively for uninterrupted performance during intense gaming sessions, the notebook also features an advanced cooling architecture consisting of 5 system fans (including 3 ultra-thin AeroBlade™ metal fans) and 9 heat pipes. It also includes Acer Dust Defender, which removes dust build-up and improves heat dissipation, and Acer’s CoolBoost app, that can be used to adjust the fans’ airflow to deliver extra cooling performance during heavy use. Its full-sized mechanical keyboard features Cherry® MX Brown switches, with individually programmable backlit keys, offering 16.7 million color options. Customers can swap out the black W, A, S and D keys with teal ones, using the included accessory kit. A unique numeric keypad allows it to be flipped over and turned into a Precision Touchpad. Making the action come to life, the Predator 21 X features a new 3-way (tweeter, midrange, woofer) audio design which produces Hi-Fi quality sound and is powered by 4 speakers (2 tweeters, 2 midrange) and 2 subwoofers to produce a full spectrum of sound. 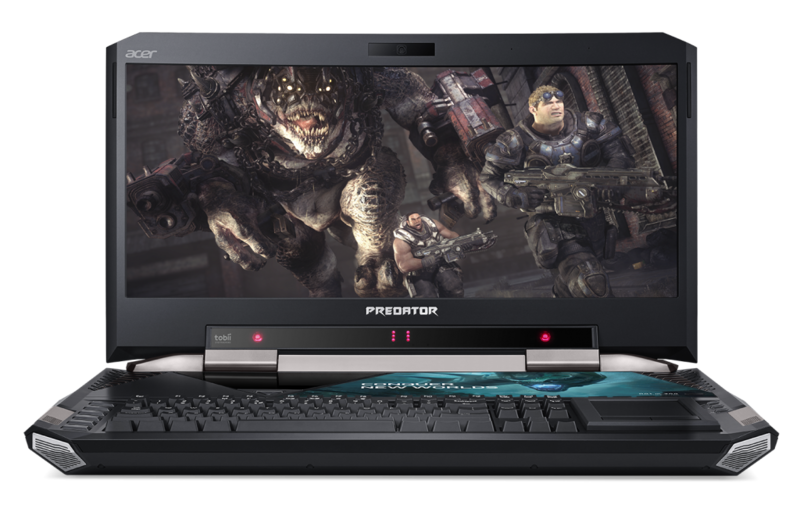 Preloaded Acer PredatorSense software allows users to control and customize the whole gaming experience from one central interface, including overclocking, lighting and fan control. In addition, the included Xsplit Gamecaster software makes it easy for gamers to record and edit videos and live streaming on Twitch and Youtube channels. Located just above the keyboard on the right side is a metal maintenance panel which provides access to the RAM modules and one 2.5-inch hard drive. The notebook ships with a blue dragon graphic on the panel, or it can be customized with a combination of graphics, nation flags and name engraving. In addition, the first 300 notebooks will include a limited edition series number on the panel. 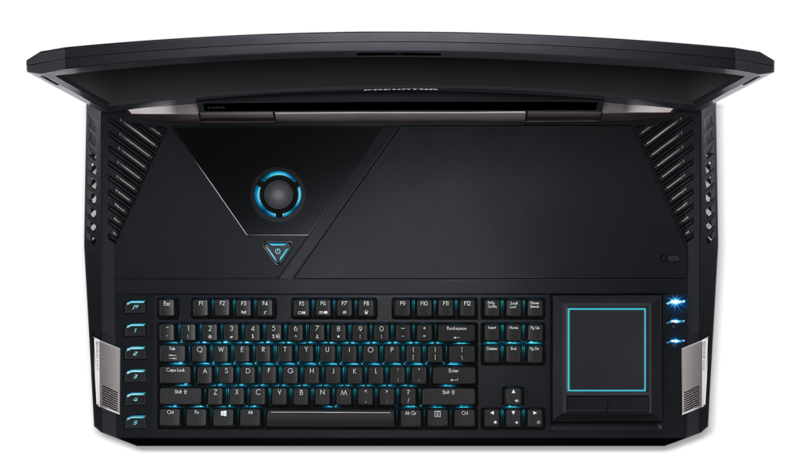 For safe transport and storage, each Predator 21 X ships with a custom ultra-durable hard-shell carrying case which securely stores the notebook and accessories. 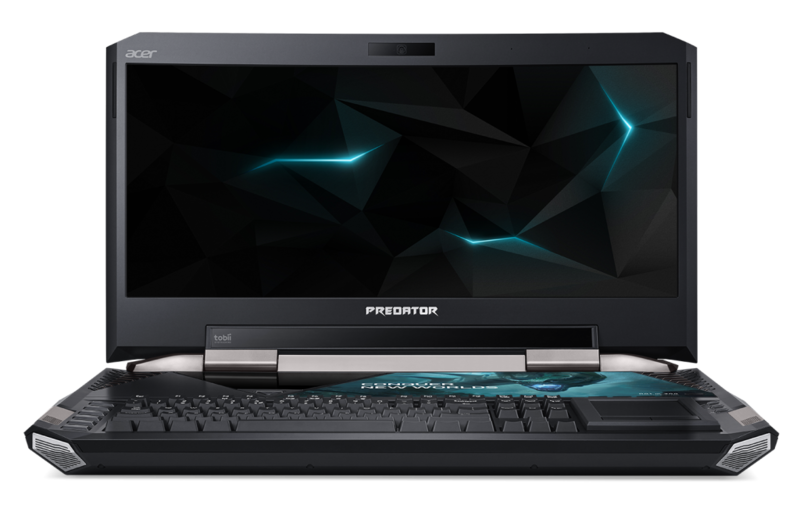 The Acer Predator 17 X gaming notebook also received both a CPU and GPU upgrade, and will now include models with a 7th Gen Intel Core i7-7820HK processor and an NVIDIA GeForce GTX 1080 GPU with 8G GDDR5X video memory. Featuring overclocking, desktop grade components, a custom triple-fan cooling system with front air intake and a server-class vapor chamber, it is ideal for the most demanding games and running virtual reality (VR) devices. It’s overclocking lets gamers experience turbo speeds of up to 4.3GHz for the CPU; up to 1732MHz for the GPU; and up to 5.4GHz for VRAM. Immersive game play is delivered with buttery smooth visuals via the notebook’s 17.3-inch G-SYNC FHD IPS (1920 x 1080) or UHD IPS (4K 3840 x 2160) display. 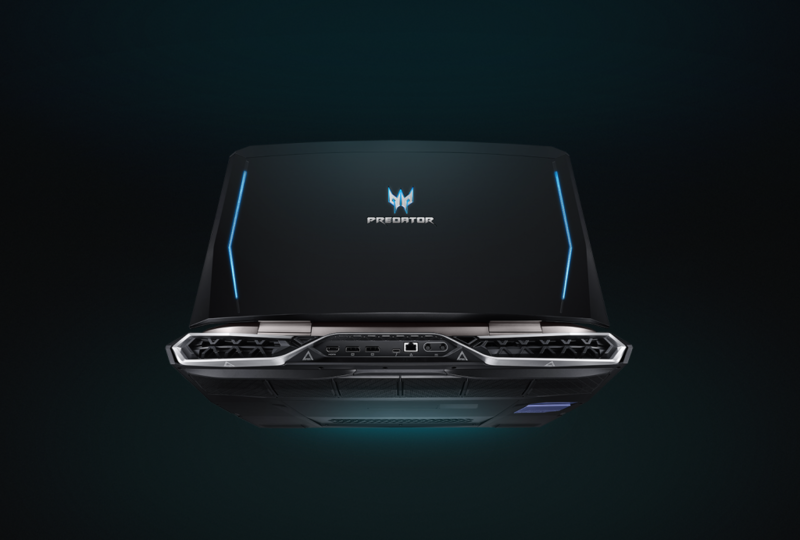 The Predator 17 X (GX-792) is also configured with an overclockable 7th Generation Intel® Core™ i7-7820HK processor, up to 64GB of DDR4-2400 memory and an enterprise level NVMe PCIe solid state drive2 or three-SATA-SSD RAID 0 array for immense data transfer speeds. The default configuration figures are based on Acer test conditions to ensure the performance and system quality. The max speed may vary by the different power demand from either CPU or GPU.